The Milwaukee Ale House in the Historic Third Ward occupies the first several floors of the Saddlery building which stands between Water Street and the Milwaukee River. At various times throughout its 100-year history, the six-story Saddlery building at 233 N. Water Street has been home to a saddle maker, a sailmaker and the inventor of the Hula Hoop. Now the Historic Third Ward landmark is home to The Milwaukee Ale House. The Ale House Bar is one of Milwaukee’s best night spots. It’s a great spot to socialize and enjoy live music. Along with our house brewed selection of ales and lagers, we offer many national and international premium beers and wines. Live music is a big part of the experience and top performers are scheduled several nights a week. The Hopside Down is our intimate Irish style downstairs pub. The Hopside Down also has a great riverside patio for dining and socializing. Enjoy the perfect ale on a warm summer day or a pleasant evening meal with friends on our covered deck that overlooks the Milwaukee River. A century ago, huge Great Lakes Schooners would pull in for repairs- now you can pull up to the dock and have lunch, dinner and drinks. We have 6 slips and can accommodate boats up to 60 feet. We will always make room for the weary sailor. The Ale House is also a stop on Milwaukee’s River Walk. On your walking tour of Milwaukee’s river front, take a seat on our lower patio and enjoy a pint of your favorite Ale House lager or ale. Join us for a taste of food and fun and sample our fantastic beers. 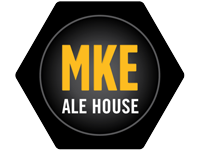 We guarantee that once you’ve been to the Milwaukee Ale House, you’ll be returning again and again. See you under the Silo!